ALDINE – Funeral services were held for Jacqueline Gomez at St. Leo the Great Catholic Church, Lauder Road, on Friday. The 17 year-old MacArthur High School senior, Jackie Gomez, was found dead Saturday, May 17, in a hotel room by her boyfriend after her prom night. Harris County medical examiner said nobody can be certain how Gomez died until autopsy results are completed. While authorities await for autopsy results, text messages have been reported by media sources, between a friend of Gomez’s and her date recount reactions. Gomez’s date: “I woke up. I tried waking her but she wouldn’t….I was screaming and crying telling her to wake up. But she didn’t. She didn’t”, the text message is ended with faces with tears. He said she appeared “perfectly fine and happy” when they left the night of the prom and that she also looked happy when they went to sleep. Family and friends of Gomez said they never saw her take or talk about drugs. According to her date, they did not drink alcohol until they got to the room, but Gomez’s friend said earlier she noticed her eyes low, as if she was dizzy at the time they left the prom in the hotel. Last Monday afternoon, May 19, friends and Kroger’s co-workers held a fundraiser outside the store where Gomez worked to help raise money for her funeral. Authorities said her body had no signs of injury, after Monday’s autopsy but more tests are still pending. Aldine ISD is assisting Houston police with the investigation. MacArthur students are getting help from counselors. 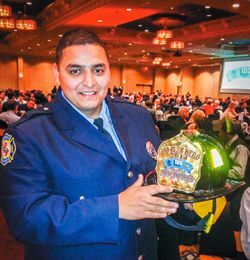 May 16, 2014 – Westfield Fire Department firefighter Pedro Rodriguez was honored by The 100 Club of Houston 60th Annual Heroes Awards ceremony on May 14th. Rodriguez was nominated for the award by a fellow firefighter for his rescue, which took place on August 15th, 2013. Rodriguez was leaving his shift at Westfield when he observed a vehicle on Beltway 8 leave the roadway and collide with a light pole head on. Rodriguez immediately stopped his vehicle and called 911. While approaching the vehicle to check on the occupants, a fire began spreading quickly underneath the hood. Rodriguez opened the passenger door and assisted a female occupant out of the vehicle. At this point, Rodriguez noticed the male driver was pinned inside. Rodriguez was able to crawl into the backseat of the vehicle and pull the driver from underneath the dashboard. With the fire spreading rapidly, Rodriguez exited the vehicle and was able to pull the driver out through the passenger door. EAST ALDINE – The East Aldine District board learned at their meeting last Tuesday night of major steps that had been taken, just that day, to further the plans for a 61 acre Town Center on Aldine Mail Route. It was announced at the meeting that the Lone Star College System had voted to proceed with a new campus on the Town Center site, with tentative plans calling for a 65,000 square foot building to be an “advanced technology center” training students in trades such as welding, air conditioning, auto technology, machinists, and engineering technicians. Additionally, word was received that the Aldine ISD board had also voted to approve an Early Colllege program to be part of the new campus. This would entail classrooms and shops for AISD totalling another 20,000 square feet. Based on these commitments, the EAMD board voted to authorize their attorney Tim Austin to proceed with an agreement with LSC System for the new campus, and to convey land for the construction of the proposed building. Also interested in building on this site are the district, the Harris County Sheriff’s office, and a new participant, Neighborhood Centers, Incorporated. Earlier in the day Tuesday, a workshop of the interested parties from the District, the Lone Star College, Neighborhood Centers, and the architects and planners had met to discuss their plans and involvement. Lone Star College – North Harris president Dr. Stephen Head had outlined the need for workforce training in the Aldine area, and the college’s commitment to building on the site. At that time representatives from Neighborhood Centers, Inc., Ray Chung and Matt Starr, indicated their organization would like to build a new facility of at least 50,000 square feet, with classrooms, offices, community rooms and shops, and a unique workforce training and “incubator” area known as a Makers Room, for new business entrepreneurs. This community center would follow prototypes NCI has run in other areas of Houston, but also offer unique enrichment and skill development training for Aldine. Neighborhood Centers, Inc. is a Houston based community social activist group, with a number of programs run in each of their centers. NCI runs a number of social and workforce programs, for the state and federal governments, and for local agencies, too. They have an annual budget of over $260 million dollars, which includes grants and contracts for Community Centers, tax centers, educational programs such as Head Start, charter schools, senior services, and they are a major provider of workforce services for the state of Texas. NCI currently runs seven community centers in various parts of Houston, and they plan to bring many of these services to the East Aldine Town Center campus. In addition, they propose a new large “makers space” for innovative and flexible job training and business start-up opportunities. Based on these new initiatives, the East Aldine District expects the Town Center to be on a fast track for development. Dr. Head has indicated that Lone Star College could have completed their building, and start classes by the Spring of 2016. GREENSPOINT – The Houston Police Department is investigating the death of a 17 year old MacArthur High School student who was reported dead by her boyfriend. Jacqueline Gomez and her classmates had attended the prom, held Friday night at the Hyatt North Houston hotel on the Sam Houston Beltway North. After the prom, many continued partying and then retired to rooms that had been booked for the night. Saturday morning, her boyfriend called for help when he found that Gomez was not breathing in their 8th floor room. Witnesses say that they heard partying noise from that room most of the night, but it did not seem unusual for that type of event. HPD detective Mike Miller told the media that there was no indication of foul play, and that the boyfriend had been questioned but was not believed to be involved in the death. Miller said that there was evidence of alcohol and pain killer drugs in the room, but could not say that was the cause of death. Gomez was well liked and well known in the community. Many knew her from her job at the local Kroger’s store. GREENSPOINT – Two teens were allegedly involved in “driveway robberies” in residential areas of Greenspoint last Thursday morning, according to Precinct 4 deputies, who were called to the scene of several of the robberies. At 12:15 a.m. they received calls that armed robberies were taking place as people returned into their driveways in the Aldine Westfield area. In one robbery, a mother and her 5 month old baby were held up, at the Crescent Apartments. Her car was stolen, after she took her baby out of it, and the two teens allegedly used it for a series of robberies in the area after that. At 1:45, David Gibson Jr. was accosted in the front of his house by the teens, with a gun, and forced to drive to a nearby Bank of America ATM on FM 1960. At the bank they demanded he withdraw money from his account, and the machine would only give him $800 when they asked for more. Then they returned to his house and retrieved the first stolen car. Precinct 4 deputies spotted the car soon after, and chased them for six miles before they crashed. At that time deputies apprehended a 14 year old, but the other teen escaped on foot. The victim, David Gibson, observed that the two were very calm and seem “practiced” at their robberies, suggesting they had done this before. If you have information on this crime, please call Crimestoppers at 713-222-TIPS. A reward is offered for information. 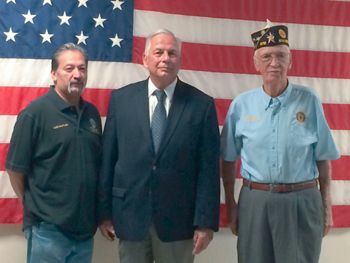 ALDINE- On Monday, May 5, Congressman Gene Green hosted a Veterans Forum in Aldine to talked about legislation and issues affecting Veterans. Congressman Green talked about the GI Bill which was approved in 2008 and provides benefits for returning WWII Veterans. Those benefits include low-cost mortages, low-interest loans to start a business, covers expenses to attend college, high school or other education. He explained that the GI Bill is giving good help to some veterans he knows and that so far no cuts have been made to this program. However, with some cuts somewhere else, Congresman Green is working to avoid it on Veterans programs. “My goal with administration of the medical center is for the Veterans to have access to those programs, because they already earned that by serving our country,” said Congressman Green. Others program that Veterans can benefit from include housing like an apartment building on Beltway 8. A representative with theVA Medical Center explained that the VA Health Care Benefit is considered the minimum coverage for the required coverage of the new Obamacare and Veterans who register or have VA, do not need to have Obamacare coverage. Representatives from the Department of Veterans Affairs, VLB Serving Texas Veterans for Life and VA National Cemetery were also present to assist Veterans with any questions about services they provide to Veterans. Veterans who may have questions about these and other veterans programs, may contact Congressman Gene Green Office at 281-999-5879. 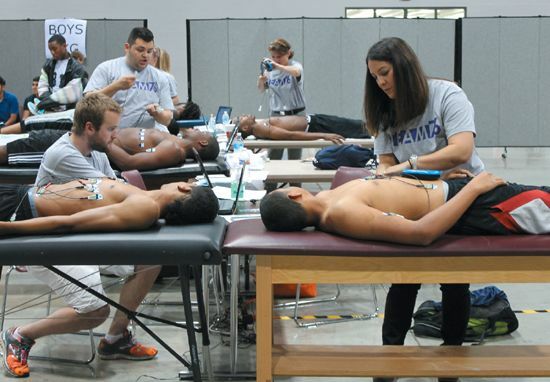 More than 750 Aldine ISD student-athletes received free heart screens in conjunction with their annual athletic physicals on Tuesday, May 6 at the M.O. Campbell Educational Center. Student-athletes received their screens from personnel from the Cypress ECG Project, a Texas-based non-profit organization that provided ECG equipment and staff to conduct the testing. The results will be read and interpreted by Cardiologists and results of the tests were expected to be returned within two days, along with information regarding any potential diagnosis. 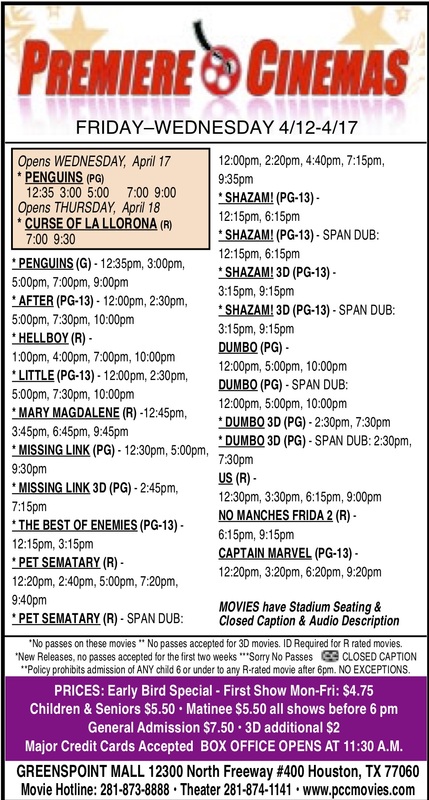 The free heart screens were funded by the Cody Stephens Go Big or Go Home Foundation. The heart-screening program is committed to preventing Sudden Cardiac Arrest. On May 6, 2012, Cody Stephens was a few weeks from graduating from Crosby High School, he seemed to be in perfect health, and had no idea that he had a fatal heart problem. On that Sunday afternoon Cody kicked back in his dad’s recliner and dozed off for a nap. He never woke up. Cody’s father Scott attended the event, which was the biggest to date in the Houston area. State Rep. Sylvester Turner also attended the event. He is working on legislation trying to make ECG screening mandatory for all Texas athletes. Rep. Turner has pledged his support to make it happen in the next Legislative session, which will begin in January of 2015. For more information about cardiac screening and the Cypress ECG Project, www.cypressecgproject.org or call 361-236-5898. For more information about the Cody Stephens Foundation, go to www.codystephensfoundation.org or email: scottpstephens@gmail.com. 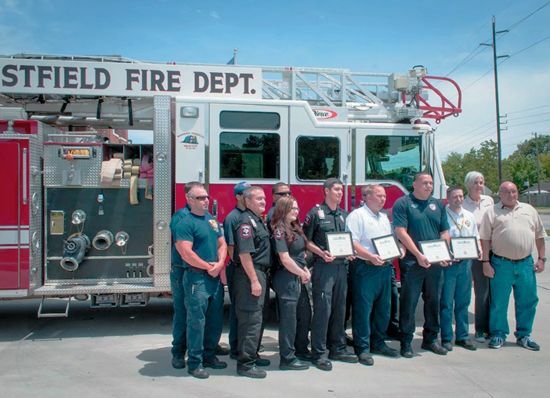 NORTH HOUSTON – Members of the Westfield Fire Department and three other departments were honored last week, in a ceremony recognizing their efforts in a recent fire which resulted in the saving of 15 animals. On April 19th, 2014 the Westfield Fire Department, Eastex Fire Department, Aldine Fire & Rescue, and Harris County Emergency Corps. were dispatched to a residential fire on Vickery Street at Sandydale. Units arrived on scene and found heavy fire from the front of the home. The homeowner sustained burns and was transported to the hospital for treatment. 15 dogs were recovered from the home and treated on scene with oxygen. Approximately 15 dogs perished in the fire. Natural Pawz pet store contacted us in order to recognize us with their Pawz Hero award for saving the dogs. We thank the owner, Biff Picone, for this recognition to all the fire and emergency departments.